Professor Dupuis, originally from Memramcook, New Brunswick, holds a BSc from the Université de Moncton with a major in mathematics and a minor in computer science (1989). She distinguished herself with her exceptional marks and by winning several scholarships. After completing her undergraduate degree, she received the most prestigious graduate scholarship at the time, from the Natural Sciences and Engineering Research Council of Canada (NSERC), allowing her to earn her Master’s degree in mathematics and statistics at Queen’s University in Ontario. She went on to do a PhD in mathematics and statistics at the University of New Brunswick, which she completed in 1994. Professor Dupuis received the Governor General’s gold medal for attaining the highest academic standing at the graduate level. 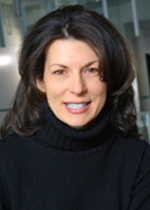 Before joining HEC Montréal in 2004, she was a Professor at Dalhousie University in Halifax and the University of Western Ontario in London, Ontario. Over the years she has demonstrated her versatility by applying her knowledge of statistics to civil engineering, digital simulation, medicine and actuarial science, as well as to energy policy, finance, hydrology and meteorology. Having directed several HEC Montréal students in the Financial Engineering and Business Intelligence options of the MSc program and in the PhD program, Professor Dupuis is particularly interested in climate change, environmental problems and modelling extreme values and dependence. She is a member of the Group for Research in Decision Analysis (GERAD), and has also been praised for the quality of her teaching. An experienced researcher with over 40 articles to her credit, she has held a NSERC grant since 1995, and was awarded another grant, from the Canadian Institutes of Health Research, in 2000. In 2002, she also received the Premier’s Research Excellence Award from the Ontario Ministry of Economic Development and Innovation (now known as the Early Researcher Awards).